Good Morning Everyone and Happy Pre-Valentine’s Day! I hope everyone’s weekend is off to a good start. I am SO excited because it is a 3 day weekend and have plans to spend one of them with my WHOLE family. Now that we have two teenagers in the house, with their own lives, it has become harder to coordinate family time, but by golly, I am going to keep on trying! Thus, we are going to head out to the Gorge for a family hike and then lunch in Hood River. Yay! I desperately need a little nature’s therapy instead of retail therapy : ) and am really looking forward to hanging with my hubby and kiddos. Now, it is Valentine’s Day weekend and I am whipping up one of my favorite treats- Raw Cheezecakes! 1. Place nuts and dates in a food processor with sea salt and pulse to chop until they are to your desired texture. I like a bit of crunch to my crust so leave the nuts slightly chunky. Scoop out crust mixture and evenly divide amongst tart pans. Press firmly making sure that the edges are well packed and that the base is relatively even throughout. 2. Warm coconut oil and nectar in a small saucepan on low heat until liquid. Whisk to combine. 3. Then using either your food processor or blender, place all filling ingredients (except raspberries) and blend on high until very smooth and creamy. 4. Pour about 2/3 of the mixture out onto the crust and smooth with a spatula. Add the raspberries to the remaining filling and blend on high until smooth. Pour onto the first layer of filling. Place in freezer until solid. 5. To serve, remove from freezer 30 minutes prior to eating. Carefully remove tart pan and serve with LOVE. My hubby just asked what I want for Valentine’s Day. Hmm…. 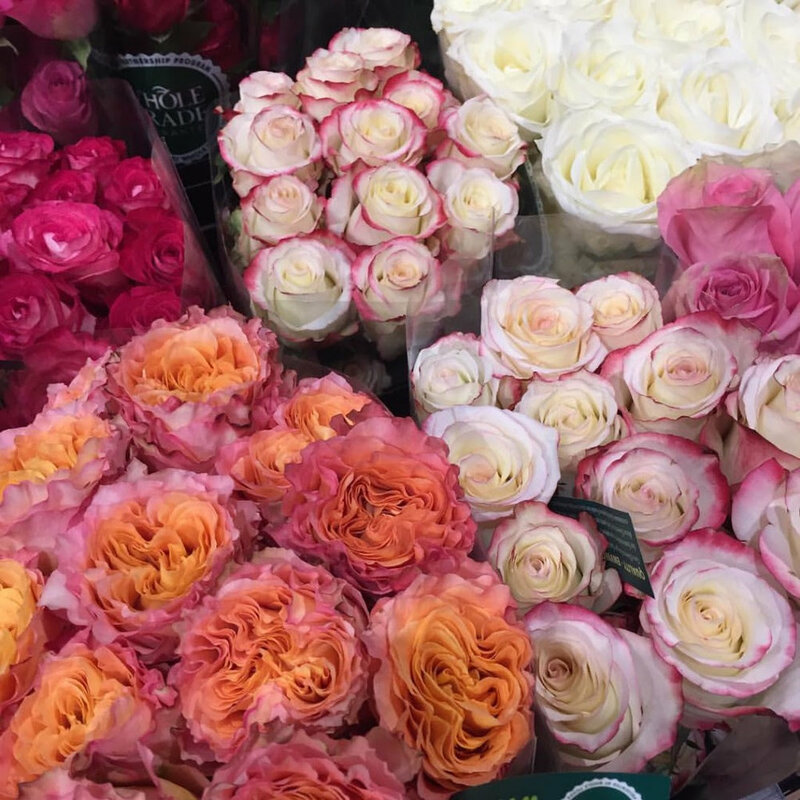 I am someone who LOVES presents, so not sure what to ask for but I did fall in love with those pink and orange roses! Aren’t they absolutely DIVINE? The sun is shining and I am off to run before the rain comes but I am wishing you a FABULOUS Day and Weekend and I hope it is filled with lots of LOVE and HAPPINESS! I have lots of fun stuff to share with you., I have some NEW OBSESSIONS, that I must share… but that will have to wait until another day.